Spring is finally here in Montana. Still a lot of snow on the ground but we are now making plans to start prospecting as soon as the snow is gone. We will update you when we get back in the field. We offer a variety of services. This can be a full-service contract which includes prospecting, excavation, and sales. Landowners receive a percentage of the sales. We are limited on time each season, so we encourage landowners to reach out to us right away if they find something. 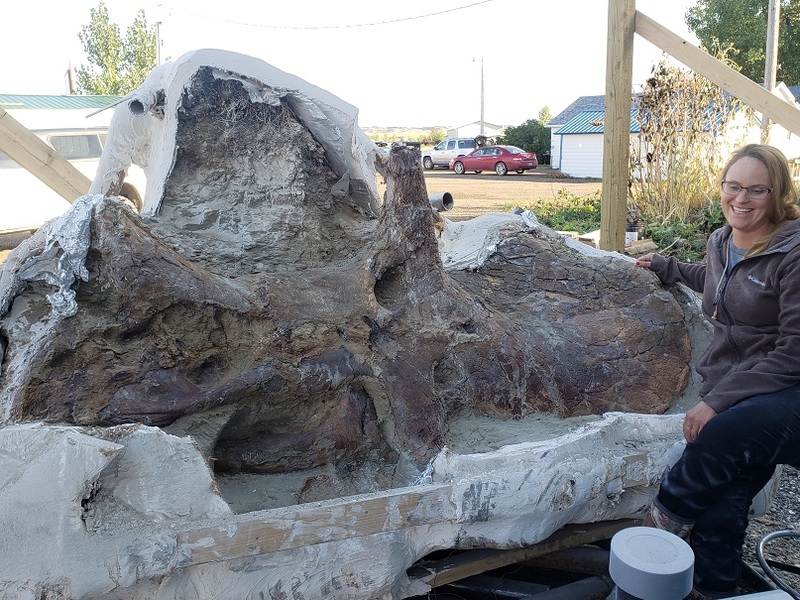 Located in Fort Peck Montana, our fossil preparation and storage facility utilizes modern equipment to clean and stabilize fossils from the field. Some specimens will undergo intensive preparation, restoration, and mounting for exhibit. 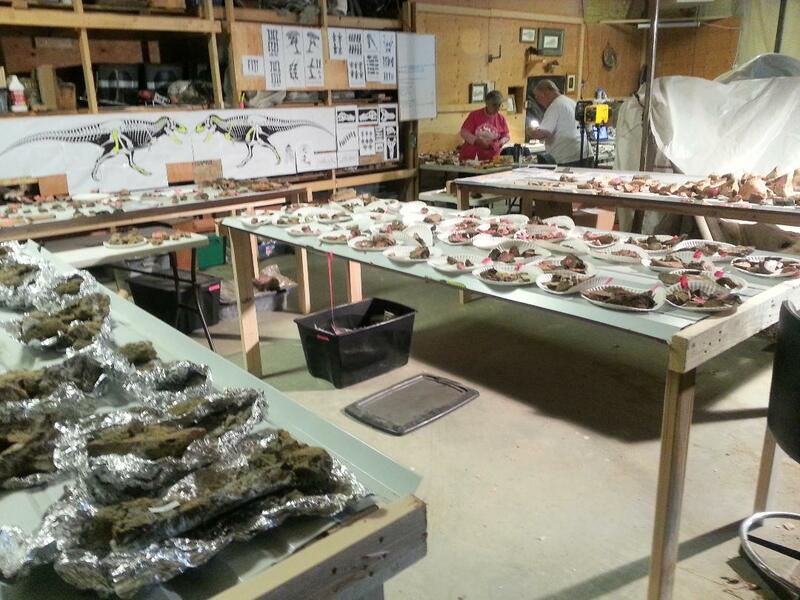 Most of our large fossil sales are conducted through a private broker. For our scientifically significant specimens, we strive to reserve first offering for museums or other public facilities. Many of our smaller individual-element specimens are usually sold to the private sector. 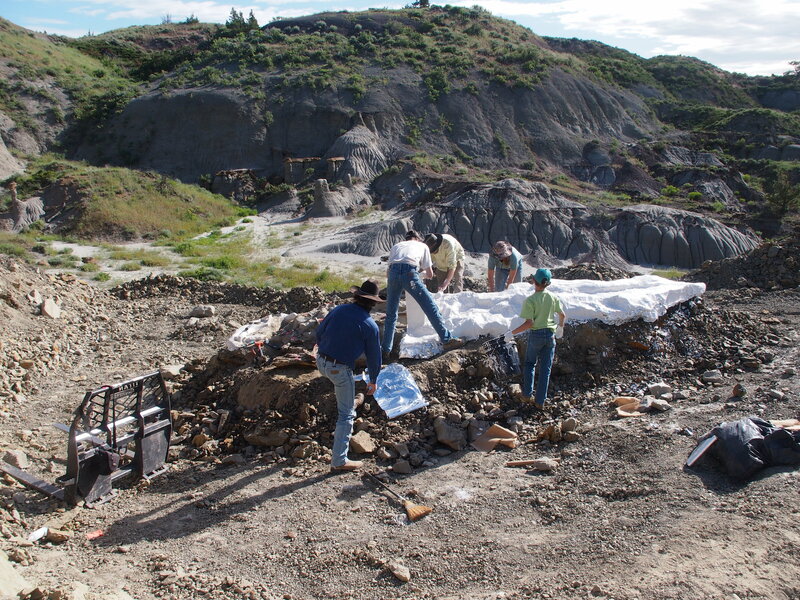 We have been working in the dinosaur fossil industry here in Montana for over 25 years. In that time, we have had the privilege to discover, prepare, and display many new specimens all over the world. 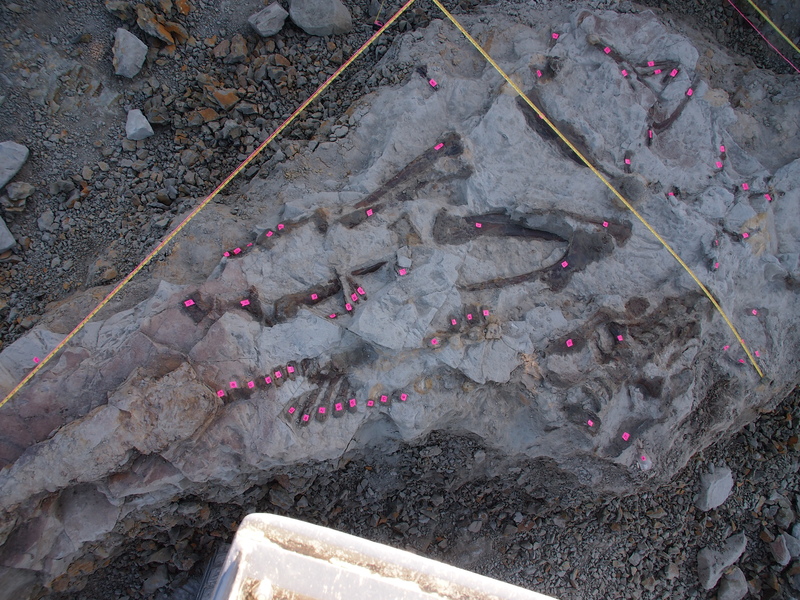 It is our mission to find and preserve as many dinosaur fossils as we can. Nature's elements are quick to destroy a fossil once it has been exposed to the surface. Our team spends countless hours each season hiking through the vast badlands in Montana in search of these fossils. We also strive to help landowners realize an additional income from their fossil resources on their property. We market the fossils we collect to both the public and private sector. We know what an educational facility needs to be able to conduct research on a specimen. 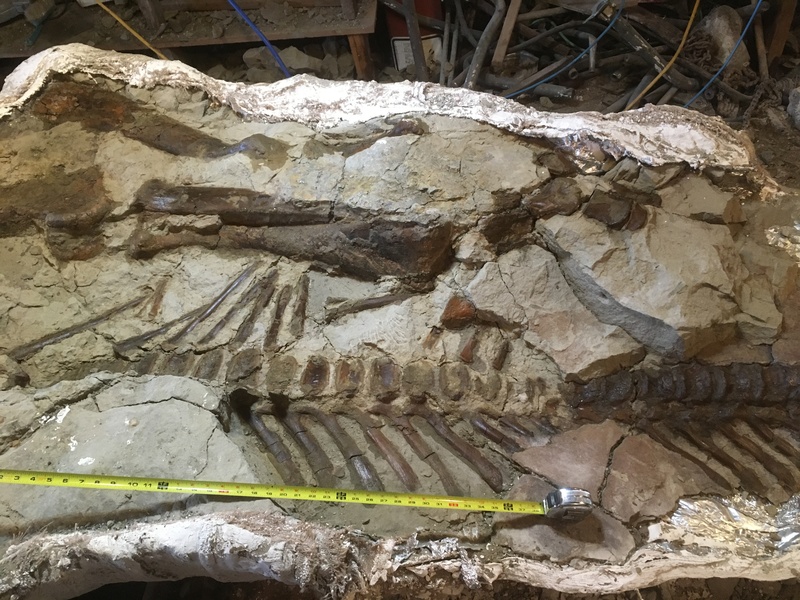 We ensure that not only is the fossil collected and preserved properly, but also that all other data from the site is collected for research use. "A dinosaur fossil is the fragile preserved remains from an extinct animal. Once exposed and either left uncollected or collected improperly, its insight into the past is lost forever"